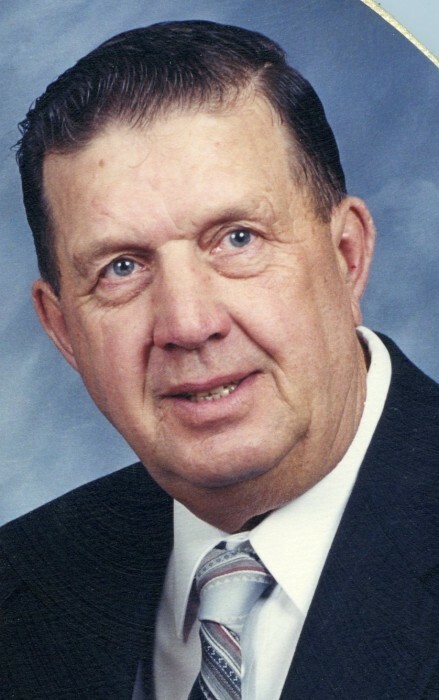 Anthony 'Tony' Linn age 84 of Foley died July 10, 2018 at his home. Mass of Christian Burial will be 10:30 AM, July 18, 2018 at St. John's Catholic Church in Foley. Rev Michael Wolfbauer will officiate. Burial with full Military Honors by the Foley American Legion will be in the Parish Cemetery. Visitation will be 4:00 to 8:00 PM, Tuesday, July 17 at the Foley Funeral Home and one hour prior to the services at the church on Wednesday. Service with Dignity provided by the Foley Funeral Home. Anthony Herman Linn was born June 13, 1934 in Albany Township, Stearns County to Edward and Appolonia (Herbes) Linn. He married Rita Valerius on July 20, 1957 at St. Mary's Cathedral, St. Cloud. He served honorably in the United States Marine Corps during the Korean War. After his service, Tony returned home and farmed most of his life and had also done plaster work. Tony enjoyed his many friends; collecting one cylinder engines; a good game of cards and spent many hours volunteering at the Dewey Place and Heritage of Foley Nursing Home. He was a member of the Foley American Legion and St. John's catholic Church. Memorial are preferred in lieu of flowers. Tony is survived by his sons; Bruce (Mary), Foley; Jim (Nancy Kiekow), Sartell; Mike (Kelly), Sauk Rapids, 12 grandchildren and 19 great grandchildren and sisters and brother: Anna Mae Hanauska, Mari Lindgren and Kenneth. He was preceded in death by his parents and wife, Rita, grandson, Justin and brothers and sisters: Cecelia Kuklok, Eileen Linn, Alice Borgerding, Alcuin Linn, Jeanette Mader, Roger Linn, Dennis Linn, James Linn and Eddie Linn.